"The departments have made opting out of the mandate at least as easy as obtaining a parade permit, filing a simple tax form, or registering to vote -- in other words, a routine, brief administrative task," wrote Judge Scott M. Matheson Jr. He was joined by two other judges in parts of the ruling. However, Judge Bobby Baldock in a partial dissent from the majority's decision, said he would rule that the religious exercise rights of self-insured employers are more substantially burdened than are those that have outside insurers. "Moreover, less restrictive means exist to achieve the government's contraceptive coverage goals here," he wrote. Nonprofit religious entities such as church-run colleges and social service agencies are not exempt, but HHS created what is known as an "accommodation" under which such organizations may file a particular form or notify HHS that they will not participate for religious reasons. The contraceptive coverage is then provided to those organizations' employees, but through third parties, and with no cost or further involvement to the employer. Entities that refuse to comply with the mandate are subject to significant fines. In addition to the Little Sisters, who operate homes for the aged, the ruling affects Christian Brothers Services and Christian Brothers Employee Benefit Trust, the Catholic ministries through which the Little Sisters obtain their health coverage, and included challenges to the procedures filed by Southern Nazarene University, Oklahoma Wesleyan University, Oklahoma Baptist University, Mid-America Christian University, Truett-McConnell College and Reaching Souls, an Oklahoma-based a nonprofit corporation founded by a Southern Baptist minister that trains pastors and evangelists and provides care to orphans in Africa, India and Cuba. Matheson's ruling took into account the Supreme Court's June 2014 Hobby Lobby decision, which found that the owners of the for-profit chain of crafts stores had a legitimate claim that their religious beliefs are burdened by the mandate for contraceptive insurance. On July 10, HHS issued a new set of rules in light of the Hobby Lobby decision, extending to closely held, for-profit companies the same accommodation it created for the nonprofits. The rules would apply to for-profit entities owned by five or fewer individuals which are not publicly traded. 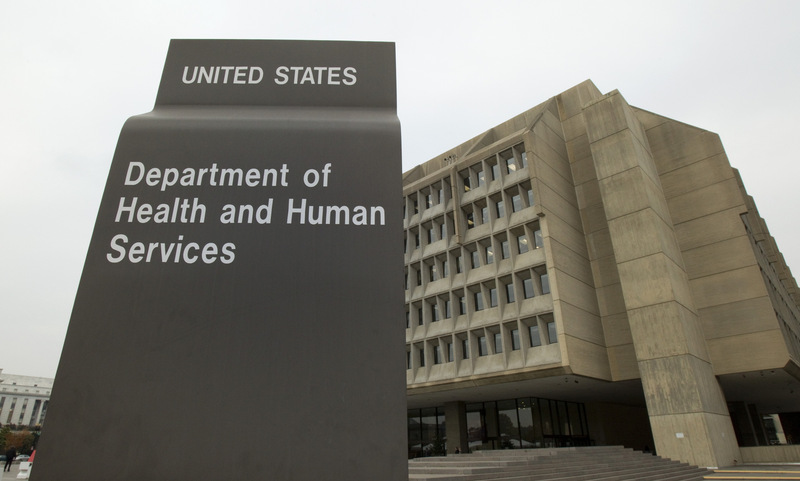 The HHS press release about the rules said that based on available information, that definition would include "all of the for-profit companies that have challenged the contraceptive-coverage requirement on religious grounds." Matheson said that unlike in the Hobby Lobby case, the federal government had provided a process of accommodating the plaintiffs' religious objections to the requirement for contraceptive coverage. The accommodation makes the situation unlike typical cases brought under RFRA, he said. In Hobby Lobby and other recent RFRA cases, "the government either required or prohibited acts of religious significance to the plaintiffs. In the cases before us, the government has freed plaintiffs from the responsibility to perform the act they consider religiously objectionable -- namely, providing contraceptive coverage. "Nonetheless, the plaintiffs argue an act they do not consider objectionable in itself -- completing a form or writing to HHS -- becomes objectionable because it either causes the provision of contraceptive coverage or renders them complicit in the provision of contraceptive coverage. Therefore, unlike the aforementioned cases, we are in the slightly different position of considering whether an otherwise unobjectionable act, understood in context, constitutes a substantial burden on plaintiffs' religious exercise." It does not, the court concluded. Daniel Blombert, counsel at the Becket Fund, which represents the Little Sisters of the Poor, said in a statement that "we will keep on fighting for the Little Sisters, even if that means having to go all the way to the Supreme Court." The Becket Fund statement also included a comment attributed to Sister Loraine Marie Maguire, mother provincial of the order. It framed the ongoing legal battle as a choice "between our care for the elderly poor and our faith," adding "we should not have to make that choice." The 10th Circuit was the fifth federal appeals court to decide that religious rights of faith-based institutions are not burdened by the process of filing the form or notifying HHS that due to religious objections an employer will not be providing coverage for contraceptives. The rulings said that the act of notifying the government is not what "triggers" access to birth control, as the Little Sisters and other plaintiffs have argued. The ACA legislation itself is what triggers someone being able to receive contraceptives, the courts said. In addition to the 10th Circuit, the 3rd, 5th, 7th, and D.C. Circuits have ruled similarly, all in decisions issued after last summer's Hobby Lobby ruling. Some of those cases are likely to reach the Supreme Court in the coming term, but it has not yet accepted one. Legal challenges to the contraceptive mandate by for-profit and nonprofit employers have played out on separate tracks. For-profit cases like Hobby Lobby's moved through the courts faster, as HHS several times reworked its rules for how nonprofits might seek to be taken out of the contraceptive mandate portion of the ACA.